The historic capital city of the Malaysian state of Penang, is located at the north-eastern tip of Penang Island. Not only is Georgetown the second largest Malaysian city, with 708,127 inhabitants as of 2010, it is also a UNESCO World Heritage Site since 2008. Established by Francis Light of the British East India Company in 1786, George Town was the first British settlement in Southeast Asia.Together with Singapore and Malacca (also known as the Asian Amsterdam), George Town formed part of the Straits Settlements and became a British crown colony in 1867. Due to the interweaved migration of the various ethnicities and religions that arrived on its shores, George Town has acquired a large eclectic fusion of Oriental and European architectural styles, cuisines and subcultures. All of these factors make Georgetown the perfect destination to visit for anyone interested in history, culture, fusion cuisine, theology and architecture. It is also the ideal holiday spot for families, young couples and those in search for original edgy holiday destinations, let's explore the 10 reasons why you should make Georgetown your next travel destination. Georgetown has seen a lot through it's years, being influenced through history by Kedah (Muslim dynasty), Great Britain, the Straights Settlements (group of British territories in South East Asia), Japan, India, Thailand, China and modern world migration from numerous countries. You can only imagine how this influences the local cuisine. Georgetown hosts a real fusion of all the above cultures, ingredients and flavours into traditional dishes you can sample at street food stalls and fine dinning restaurants. 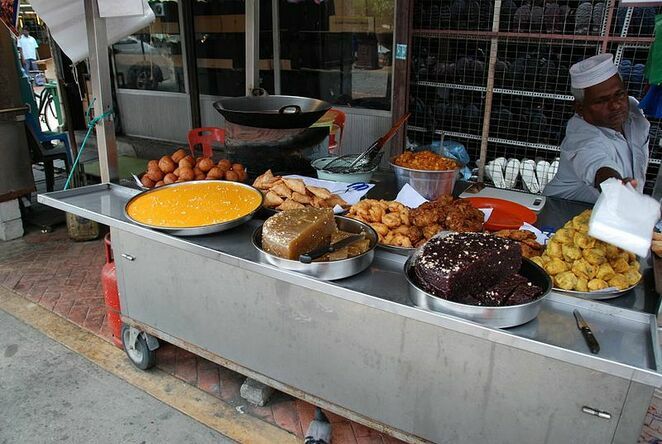 Wherever you turn your gaze, there is food: Penang assam laksa, char koay teow, hokien hae mee, popiah, lok, chendul, just to name very few of the options, in other words, you can find anything from soups, curries, noodle dishes, skewers to dip in spicy sauces, ice creams, tarts, salads, flavoured refreshing drinks, whatever your craving you will find it in a street corner, an unassuming coffee shop or a five star restaurant. Since gaining UNESCO world heritage site status, Georgetown has experienced an expected increase in tourism from all over the world, local investors have identified business opportunities through this, creating an eclectic and sometimes tacky assortment of museums. Upon your arrival to Georgetown and perhaps even through internet research, you will find a vast number of museums, some honour the name and some others must be taken with a pinch of salt and a light heart. 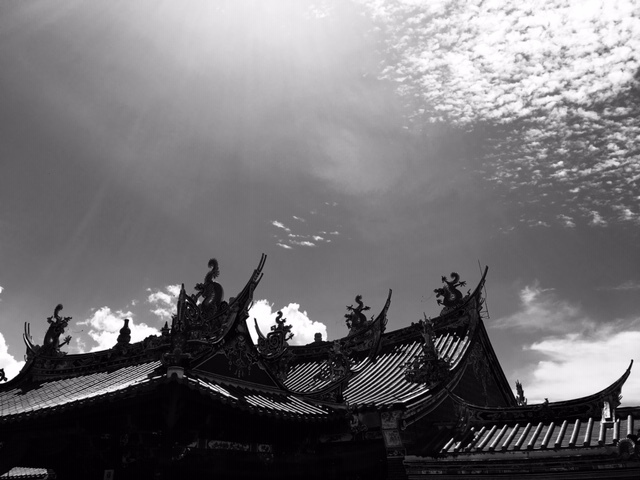 To name a few on the true educational and museum-like side: Batik Painting Museum, Penang House of Music, Pinang Peranakan Mansion, Wonderfood Museum, Asia Camera Museum, Khoo Kongsi, Hin Bus Depot, Clan Jetties, Cheon Fatt Tze Blue Mansion. Now let me tell you the ones on the purely leisurely side: The Upside Down Museum, Glow in the dark museum, 3D Trick Art Museum, Magic Museum, Ghost museum, Fun Filled Wax Museum, Teddy Ville Museum... you get the idea (these are truly the perfect choice for families travelling with small or young children, and those after some amusing lighthearted fun). Whilst exploring the streets of Georgetown, you will inevitably stumble upon some incredible murals. There are even mural maps and street tours for travellers to experience some incredible urban art. So what is the story behind all these murals? After gaining UNESCO world heritage site status in 2009, the state government held a competition for artists to create signs for relevant historic streets or sites, what they called a "living museum". The winners of this competition "Sculptures at Work" created 52 welded steel caricature scenes portraying historic sites and ways of life. 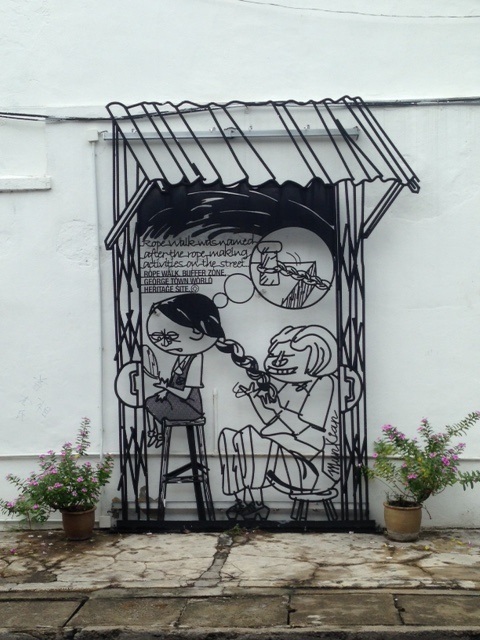 A few years later in 2012, Lithuanian artist Ernest Zacharevic was commissioned to create large-scale murals for the George Town Arts & Culture Festival, Zacharevic's work portrayed Penangite culture so accurately, his murals soon became world famous and other artists naturally followed. These days, you can experience hundreds of colossal murals, tiny stencilled pieces and even three-dimensional murals which you can become a part of. The moment you think you have seen them all... another one pops in front of your eyes in an unassuming street corner, outside of a temple or on a suburban wall. Keep your eyes open, your camera ready and your inquisitive detective mind open to uncover Georgetown's street art! Murals vary from highly skilled ethereal images to funny everyday scenes. As mentioned above, Georgetown has been strongly culturally and historically influenced by many countries, even if you are not a history buff, the city's architecture makes it indisputably visible. 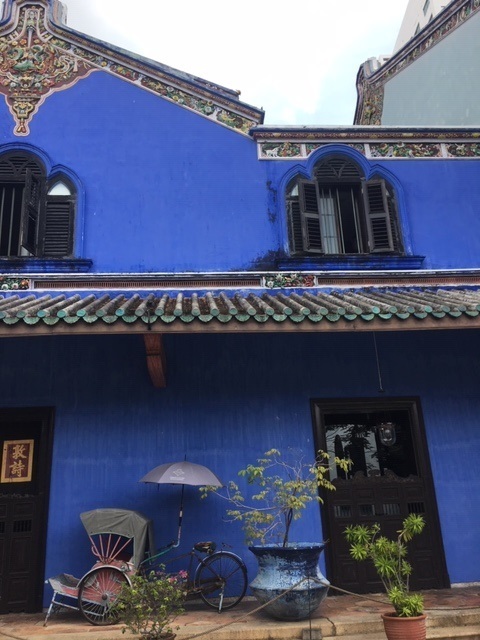 Colonial dwellings line the streets, but when you look closer, the Peranakan style (straits-born Chinese immigrants) makes itself noticed, creating a very colourful, intricate and sometimes quirky contrasting landscape. Some of these buildings include historic shophouses, many of them ancient family businesses from many generations ago, some others have been refurbished to host new businesses, museums, hotels and coffee shops and the less fortunate lay crumbling with the passing of time. Grab a guide available from Georgetown World Heritage Incorporated on No. 116 & 118, Lebuh Acheh,10200 George Town and explore some of the vibrant architecture and traditional trades: perfumer, baker, rattan weaver,Chinese calligrapher, tailor, coffee roaster, printing press,spice and pigment merchants, Chinese lantern maker, wood carvers, stonemasons, carpenters, just to name a few. Most of these historic shophouses are still in operation and open to the public. Certainly, no better place to purchase an original souvenir! This colourful town hosts unique cultural groups, such as the Peranakans, descendants of Chinese immigrants from the southern provinces who migrated to the Malay archipelago including British Malaya and Dutch East Indies and southern Thailand, between the 15th and 17th centuries. 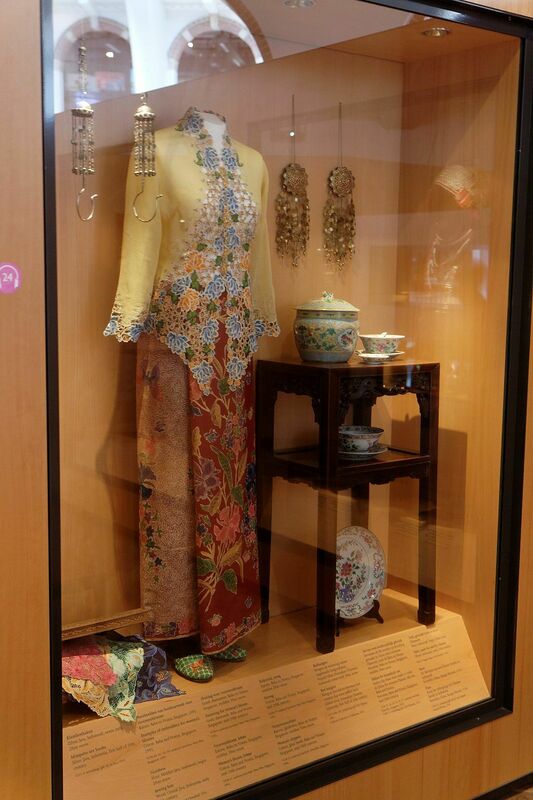 Peranakan 'locally born' in Malay culture refers to men as 'baba' and women as 'nonya'. This culture is distinguished through exquisite heavily decorated ornaments, jewellery and clothing, which extended to their homes (Peranakan Mansion) and of course their intricate cuisine. Nonya food follows these aesthetic and lifestyle principles, using traditional spices and herbs, belachan (prawn paste), coconut milk, pandan leaves and blue sweet pea flower to create a perfectly weaved story of flavours, textures and aromas. Whatever you are interested in, you may find an expression of it through Perenakan culture and it's beautiful complexity. What better way to get a little caffeine fix during a day of exploring a place than with a good cup of tea or coffee. You will be buzzing in Georgetown with the numerous options on offer. However this is more than just a cup of tea or coffee this is Tea Tarik, Kopi Cham and Ipoh Coffee, so why are they so different? Teh tarik (literally "pulled tea") is a hot milk tea beverage which can be commonly found in restaurants, little kopitiams and street stalls in Malaysia, Singapore and Brunei. The name comes from pouring the drink quickly from as high as the servers arms can reach appart, creating a thick and foamy drink. It is made from a strong brew of black tea blended with condensed milk. It is the national drink of Malaysia and yes it is delicious! For the more adventurous, Kopi Cham is made of a mixture of three parts of coffee and seven parts of Hong Kong-style milk tea, it can be served hot or cold. The perfect blend for those who enjoy tea and coffee and can't decide amongst them. 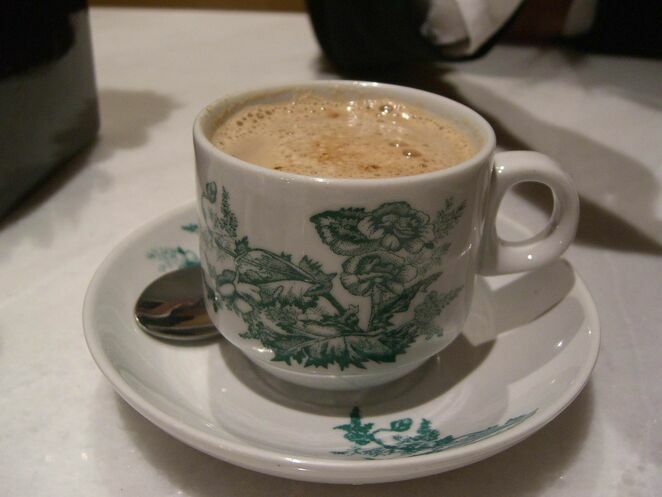 Ipoh white coffee is a popular coffee drink which originated in Ipoh, Perak, Malaysia. The coffee beans are roasted with palm oil margarine or sometimes olive oil served with condensed milk. The result is a super creamy, nutty coffee, the ideal way to start a morning and the warmest way to get a second wind. May I also point out most hot drinks in Georgetown are served in the cutest cream porcelain stamped with green kitsch flowers, paired your drink of choice with a little Nonya pandan treat and you have truly purchased heaven! Georgetown is the perfect food enthusiasts destination for many reasons including food is very reasonably priced even for the tightest budgets; you can find simple grab and go snacks from little shops and stalls, you will taste real fusion cuisine at it's best, but the true highlight of food in this corner of the world is the street food scene. As the sun goes down the street carts come out, vendors set up and line the streets, tourists graze at the extravagant number of options, freshly cut durians fill the air with their pungent aroma, smoke towers swirl through alleyways and people of all sorts of colours, shapes and appetite sizes come out to enjoy not only the food but the atmosphere that only street food evokes, the sounds of meat, vegetables and spicy oils hitting the woks, vendors promoting their unique dishes, mopeds speeding past and pulling over for a quick bite, creating a mad level of tasty chaos that is so unique to few parts of the world. Just when you thought the food, history, leisure activities and quirkiness of this town are enough to convince you to book your flights today, you look at the accommodation options and it becomes a real deal! Georgetown encompasses some world-class chic boutique hotels, many of them historic heritage sites which have been given a facelift and all the western comforts, whilst preserving the historic character and old world charm. 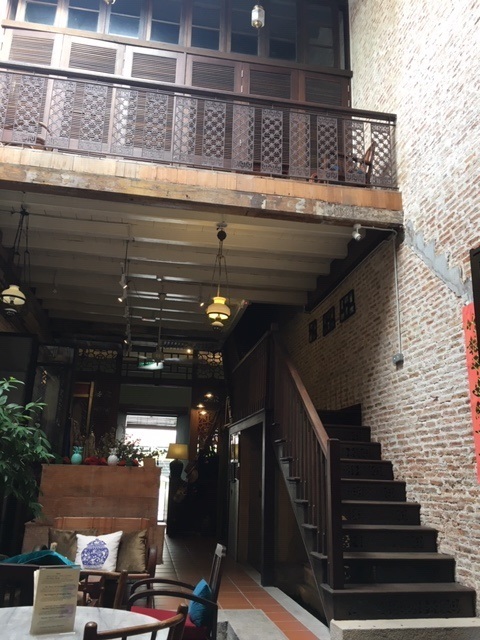 To feel as if you have travelled back to the 1800's and 1900's stay at Cheong Fatt Tze- The Blue Mansion, The Edison, Noordin Mews, Campbell House and Seven Terraces. 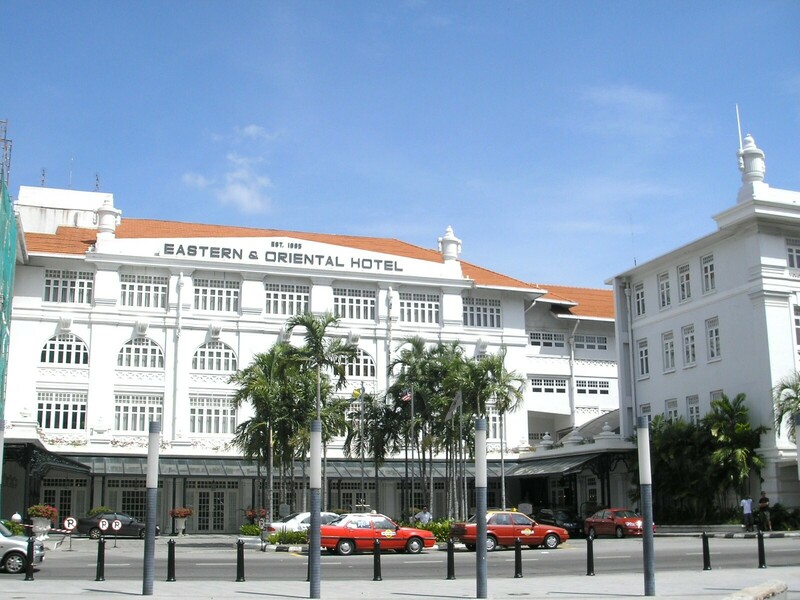 For true old-world luxury and history, stay at The Eastern & Oriental Hotel, having welcomed notorious literary and entertainment celebrities such as Mary Pickford, Douglas Fairbanks, Noel Coward, Rudyard Kipling, Somerset Maugham and Hermann Hesse. The Malaysian Ringgit is the currency of Malaysia. Currently 1 AUD buys 2.89 MYR (19/3/2019) and 1 USD buys 4.07 MYR. Depending which country you come from, you may find variations, however, for transport (buses or Grab Car), food, drinks, leisure and accommodation, Georgetown is very affordable and you can expect decent quality products for the money you pay. Give variety a go and your money will go further, dining at a five star restaurant may not be necessary every night and as mentioned above street food or cafe styled meals are very reasonable, walking may have you on edge at first (scooters and cars everywhere), however after a couple of days you will adapt to walking the streets and exploring street art on hidden alleyways. Variety is what makes Georgetown a great destination for those on a tight budget or travellers seeking lavish luxury.